What exactly sociology is, in Dr. Maloney’s own words. 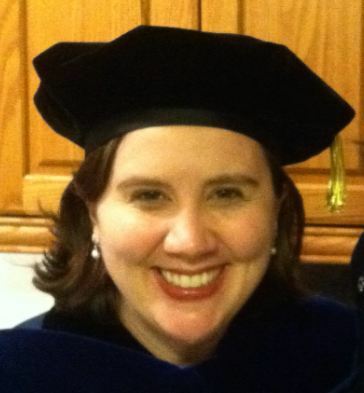 What career options are out there for graduates with degrees in sociology. Which parts of a sociology degree tend to trip students up, and how they can avoid it. How typical sociology classes might be structured, and what topics Dr. Maloney might cover in a typical class. Texas Tech University began with just six buildings, 914 students, and no graduate school. Today, the university is the largest higher education institution in the western two-thirds of Texas, with 150 undergraduate, 100 graduate, and 50 doctoral degree programs. Texas Tech embraces excellence in higher education, meaningful research, and service to the community. As part of their initiative to foster intellectual and personal development, the university advocates student participation both in the classroom and in any of the 450+ organizations available on campus. The Bachelor of Arts in Sociology degree program at Texas Tech University is designed to prepare students for a plethora of graduate study and career opportunities in areas like business, law, government, international development, medicine, and social services. In this program, students can gain an understanding of various facets of sociology such as interpersonal relations in families, the growth of cities and complex organizations, and international relations. Students can also choose to pursue this degree with a criminology concentration. Interested in Sociology? Click here to explore Bachelor’s in Sociology programs further and learn about your degree options. Higher education is nothing without students, so we want to recognize organizations doing great work building community and engaging students both on and off campus. Our organization this week is a really neat one. Loyola University’s Mock Trial & Moot Court Teams! 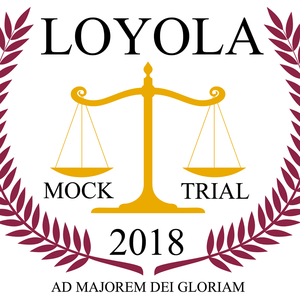 Mock Trial is among the most successful organizations at Loyola University Chicago. Their goal is not only to be good at mock trial – but they hope that every competitor that enters the program will leave it as a better person and develop skills to last a lifetime. Meanwhile Moot Court is similar to mock trial by simulating legal proceedings, but focusing on appellate court simulations. Loyola mock trial just completed its 15th season. Winning two (2) invitational tournaments (the inaugural Husky Cup tournament at NIU and the venerable Scarlet and Gray Tournament at the Ohio State University). Plus they had several other notable finishes at other tournaments throughout the season. Unfortunately they came up a little short in the first round of national competition held in Geneva, Illinois, finishing 4-4. But return a large number of competitors for a great run next season. Meanwhile Loyola moot court finished a very successful season in January at the National Championship Tournament (NCT) in Dallas. For the second time in 3 years, they qualified 2 teams for the NCT, and both reached the second day of competition, a first for Loyola (In moot court, 80 teams begin the competition on day one, but only 35-40 make it to day two). Loyola started the year as the 21st ranked team in the country and we hope that these results will boost us into the top 15 to start the fall 2018 season. Huge shout out to them for being our Student Organization of the Week… keep up the great work!